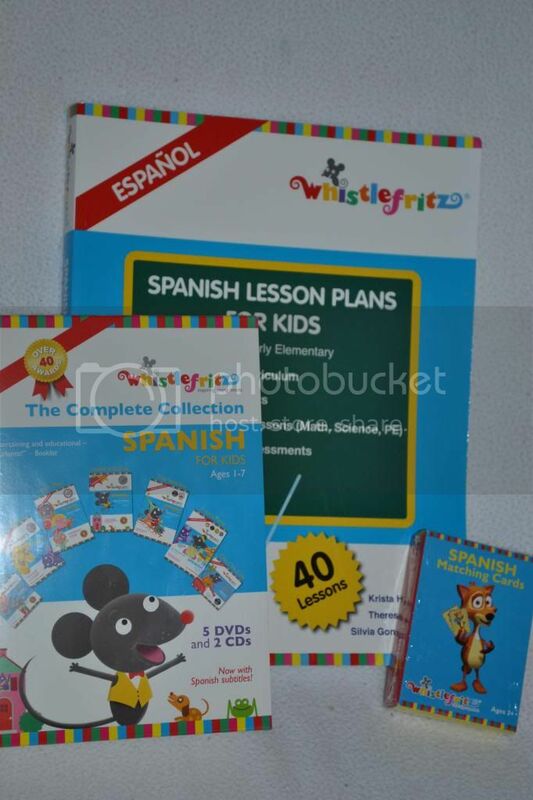 Mommy Moments with Abby's review of Whistlefritz Spanish Lesson Plans for Kids: I was completely jazzed to get this! I run a daycare so educational tools are always welcome. I was excited that this plan utilized multiple media to transmit the lesson. It made it easily manipulated to the children age. Some of the worksheets in the Lesson plan are a little advanced for my two year old, while others were workable for coloring and color association. The kids love flashcards so the Matching Flashcards worked well during out flashcard time. Instead of having them match I pulled out the flashcards associated with what we were working on. When the younger kids slept we could utilize the matching cards appropriately. The Kids favorite was the immersion DVD's and song CD's. They sat watching the TV like I haven't seen below and even though they have had minimal exposure toe Spanish, they would repeat words frequently. The repetition and easy to follow thoughts made it translatable for the kids as young as 2! We have had a blast so far. I am learning to utilize the lesson plans to fit our needs in my daycare! This is an amazing learning tool for anyone who is interesting in teaching their children multiple languages. My only issue is that it isn't in Arabic, the language my husband is currently learning! Every teacher should have this in their tool bag! I know it's in my tool bag and my curriculum from now on! You can check them out on Facebook! 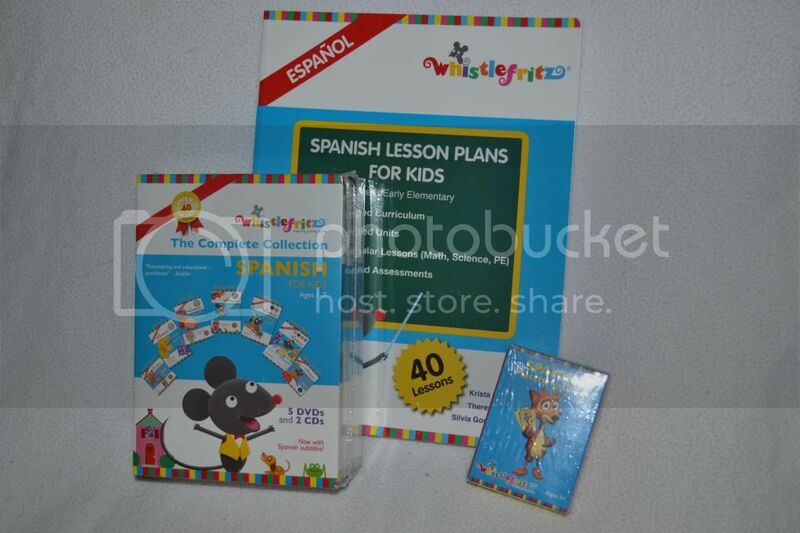 Enrich Spanish instruction with the award-winning, multi-media Educator’s Collection from Whistlefritz. TheEducator’s Collection provides a rich and diverse set of tools for Pre-K and early elementary Spanish teachers. Developed by creative and experienced educators, Spanish Lesson Plans for Kids is a scaffolded curriculum of 40 reproducible lessons that engage children in a diverse array of interactive, age-appropriate activities. Spanish for Kids DVDs teach vocabulary through an appealing blend of live action and animation ideal for visual learners. Spanish for Kids CDs get children on their feet singing and dancing to an irresistible mix of Latin songs and rhythms. The Matching Cards are a playful introduction to action words. Packed with fun, laughter, and music, the Educator’s Collection is a treasure trove of teaching activities and materials for the Spanish classroom!